Lawrence County Sheriff's department arrest two men for drug trafficking. During a Sunday traffic stop the Lawrence County Sheriff’s deputies and the Lawrence County Narcotics Unit arrested two men after drugs were found. The traffic stop was conducted on County road 222, the two men in the vehicle were, Dustin Heath Spears, 37, of Hillsboro and Kenny Wade Brown, 29, of Moulton who were found to be in possession of drug paraphernalia, and 56 grams of a substance that appeared to be methamphetamine. The two men both were charged with drug trafficking ice/methamphetamines and possession of drug paraphernalia, according to a press release from Lt. Chris Waldrep. 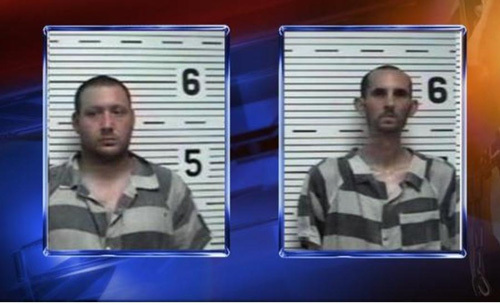 Both Spears and Brown were transported to the Lawrence County Jail and both men have a $10,500 bond.